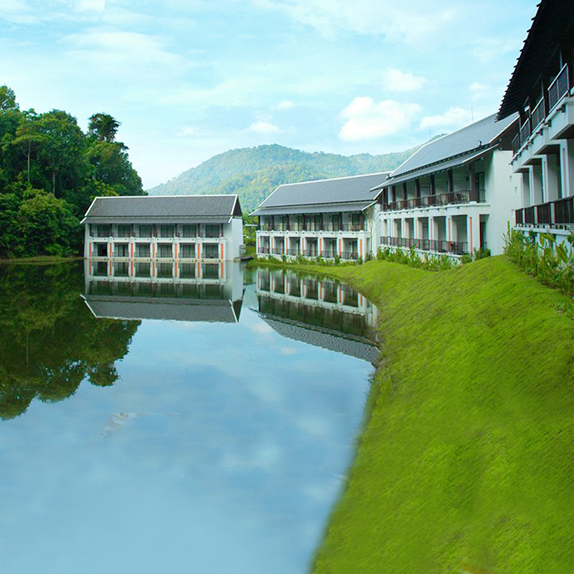 Tinidee Golf Resort@Phuket has 4 individual buildings which comprise a combined total of 45 superior and deluxe rooms, all of which are surrounded by truly magnificent lake and mountain views and perfectly manicured Phuket Island golf courses. Whether it be simply beautiful Phuket accommodation or a sublime Phuket golf resort you seek, Tinidee Golf Resort@Phuket offers both. With world class facilities and service standards, beautifully designed Southern Thailand décor, and the opportunity to experience world class Phuket golf courses and accommodation in this second to none play and stay Phuket golfing package. Tinidee Hotel Phuket is registered under the name of MBK Resort Public Co., Ltd. and managed by MBK Hotel & Tourism Co., Ltd.
Main customers are employees from companies, shops and travel agencies. Minor Customers include employees from government agencies, state enterprises, independent organizations and customers who make direct reservations through websites of online agencies. Keep yourself up to date with all the latest announcements from the company. Copyright © MBK Public Company Limited. 2015 All rights reserved.